Organic, grass-fed, grass-finished, pasture-raised, certified humane, cage-free, free-range–what does it all mean? What labels and certifications exist for animal products like meat, dairy and eggs that guarantee verified sourcing, sustainable farming practices, and humanely raised animals? In this ultimate guide to animal welfare, we get specific with the definitions, certifications, and limitations of these terms. 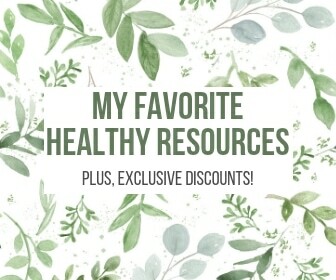 Plus, what to look for to ensure you’re getting the healthiest, most eco-friendly and most humane animal products. These days, just trying to buy a dozen eggs at the grocery store can be extraordinarily complicated. 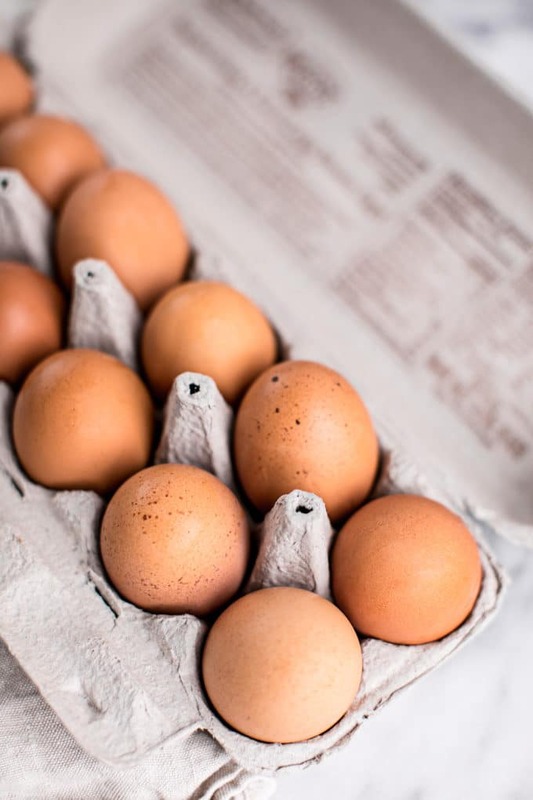 You’ve got the organic cage-free eggs, the natural free-range eggs, the non-GMO pasture-raised eggs… what on earth does it all mean and how do you even know what to look for? If your head is spinning just thinking about this, I totally understand. These labels are complex and, if you’re at all into healthy eating, it should sadly be no surprise to you by now that a lot of terms in food marketing are unregulated or misleading. While there’s definitely been improvement in labeling and transparency over the years, agriculture, and particularly the marketing of big ag, is still a shady industry and really takes some detective work to figure out EXACTLY what you’re buying, where it came from, how it was raised, what it was fed and if you can even trust the claims. Would you believe that, even if a label term or claim has a legal definition, it doesn’t necessarily mean you can trust it? The problem is that many legally defined label claims aren’t usually independently checked or verified. Unless the claim is being checked by an independent third party, the integrity of a food label is often only as reliable as the person or company making it. It’s now commonplace for a company or farmer to simply sign a paper pledge saying they are following certain rules, and then no other checks are made to ensure the company is telling the truth, or if the rules are being followed or properly enforced. Plus, even many of the labels that are more regulated, like Certified Organic, largely don’t account for animal welfare as a whole (each breed and species has their own rules, though there are often loopholes, particularly for chickens). So you could be buying a clean piece of meat, yet the animal may not have had the happy, humane life you’re likely picturing. 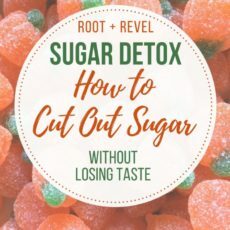 That’s why in this post, we’re breaking down the jargon of food labels and certifications so you can be informed and empowered to know exactly what you’re buying, and make the choices that feel best for you, your budget, and your values. If you want to ensure animal welfare while ALSO getting the best quality meat, eggs and dairy you can get, then you’re in the right place. 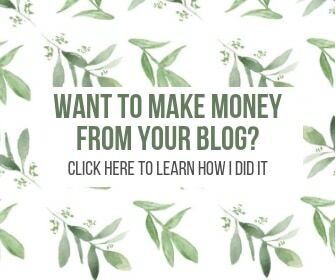 Worry no more–I totally got you! Definition: Organic food is produced without artificial hormones, antibiotics, chemicals persistent pesticides, and is always non-GMO. Limitations: The term “organic” doesn’t mean much when it comes to animal welfare standards; for example it does not strictly define production practices related to space per animal or outdoor access. The National Organic Program does require that animals be raised in a way that “accommodates their health and natural behavior,” but these requirements can be (and are) interpreted in myriad ways. 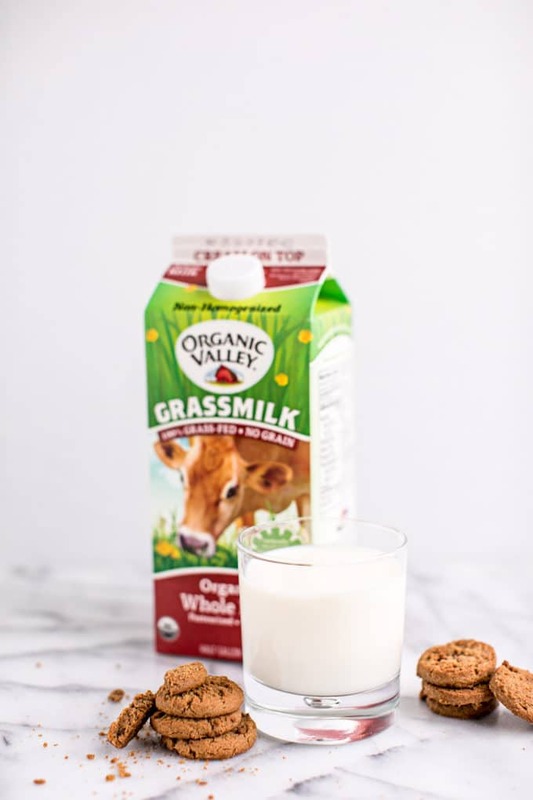 One reason I love Organic Valley products is because they’re not only certified organic, but the coop has established its own set of animal welfare guidelines that farmers implement and animal care specialists monitor. And, they even do public “farm discovery” tours all the time so you can go and see for yourself. For example, their farms are pastoral, low-stress environments where animals have ample room to roam, weather-permitting. Most factory farms have herds of thousands of cows, but Organic Valley farms’ average herd size is just 72 cows, which are on farms that average 273 acres in size, and receive about 150 days on pasture, ensuring the cows get more attention, space and TLC. Likewise, Organic Valley requires their egg farmers to provide each hen with 5 square feet of real outside space, with dirt to scratch in and sun to warm their backs, and shade for when it’s too hot, too. United States Department of Agriculture’s (USDA) Organic Seal: certifies the product meets the National Organic Program (NOP) standards (note that it must be at least 95% organic, not 100%). But again, this certification doesn’t cover all the ways animals can and should be treated. Coming soon: Certified Animal Welfare Approved by A Greener World: this will recognize products that meet BOTH high animal welfare standards and organic production practices. 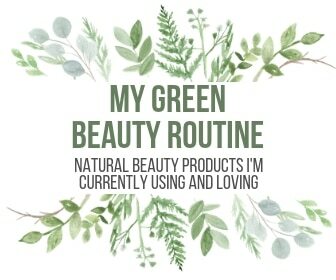 Pro Tip: When packaged products say “made with organic ingredients”, this means they contain at least 70% organically produced ingredients and the non-organic ingredients are non-GMO and comply with the National List of Allowed and Prohibited Substances. However if a label just says “organic ingredients”, none of the standards apply and the product could contain GMOs, antibiotics, hormones, pesticides, etc. These products may not use the USDA Organic seal. Check out this infographic from USDA for further clarity! Is it regulated? Yes (though specific labeling rules have been delayed for over two years and are still getting ironed out at the USDA–read more here). Definition: Genetically modified organisms (GMOs) are plants and animals whose genetic make up has been altered to exhibit traits that they would not normally have, like longer shelf-life, a different color, or resistance to certain chemicals or pests. There are significant concerns about the environmental impact of GM crops, as well as ongoing questions about potential long-term health concerns. Genetic modification is currently allowed in conventional farming and, until the labeling laws get finalized, we as consumers have no way of knowing whether we are consuming products that contain GMO ingredients unless there’s a “non-GMO” or a certified organic label. Limitations: Non-GMO does not mean a product is organic, and has no relationship to the use of hormones or antibiotics, environmental impact, sustainability or animal welfare. In fact, non-GMO ingredients may correlate with higher levels of pesticide or other chemical residues–or no significant difference from residues in GMO ingredients, which is why it’s so important to look for that Organic certification. Non-GMO Project Verified: a third-party, mission-driven nonprofit organization dedicated to building and protecting a non-GMO food supply, and currently the fastest growing label in the natural products industry. 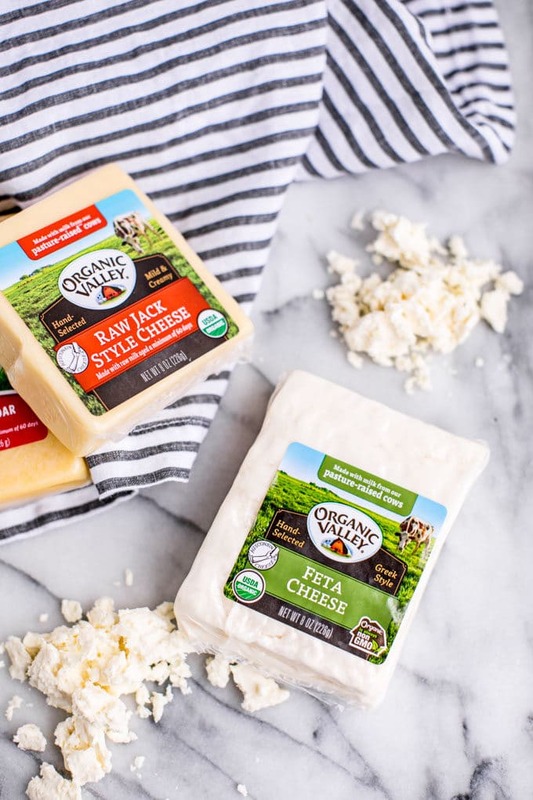 Certified Non-GMO by A Greener World (AGW): The only third-party label that currently offers a Non-GMO assurance and addresses wider animal welfare and environmental concerns. Animals must be raised according to the highest animal welfare standards in the industry, which means they’re Certified Animal Welfare Approved by AGW. Grass-fed meat and dairy contain more beta-carotene and omega-3 fatty acids, which may prevent dementia as well as heart disease. Grass-fed meat and dairy are also higher in conjugated lineoleic acid (CLA), a healthy omega-6 that’s been shown to lessen symptoms of inflammatory disorders such as allergies and asthma. 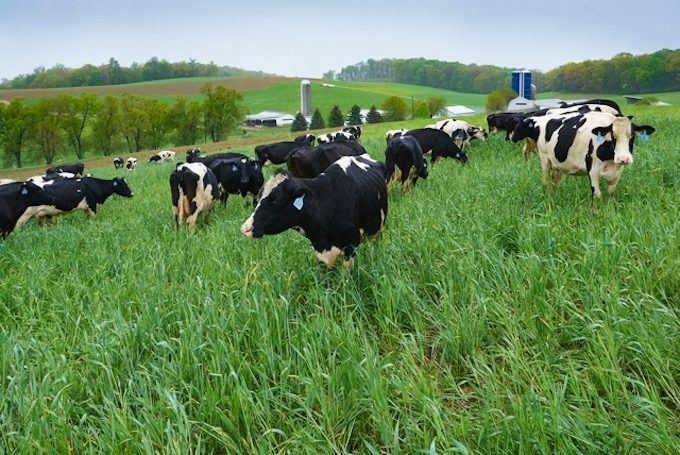 In well-managed grass-fed operations like at Organic Valley–where cows are regularly moved to fresh pasture–there’s an environmental benefit, too, as their manure replenishes the soil, improves the quality of the forage growth and in turn reduces erosion and water pollution. Definition: Technically, all cattle are grass-fed until they get to the feedlot, and any producer can put the words “grass-fed” on their product. That’s why it’s important to look for third-party verifications that certify an animal has been 100% grass-fed for the duration of its life. Limitations: Unless it’s accompanied by an additional certification, a grass-fed label refers only to the animals’ diet; it does not address the use of antibiotics, hormones, or pesticides, or offer any other assurances about animal welfare or the environment. The American Grassfed Association label: requires that animals be raised on grass and forage only; they cannot be confined to feedlots and they can never be given antibiotics, growth hormones, or animal byproducts. All animals must also be born and raised in the United States. However, there are no other welfare requirements (for example, regarding dehorning, castration, etc.) and no slaughter standards. Certified Grassfed by Food Alliance: all livestock must meet or exceed level 3 on Food Alliance’s Whole Farm general sustainability standards, which cover integrated pest management; soil, water and wildlife conservation, as well as safe and fair working conditions. All animals must be on range or pasture for their entire lives. They cannot be confined to pens or feedlots, fed any grain, grain byproducts, or animal protein products, and can never be administered any antibiotics or hormones. Certified Grassfed by A Greener World (AGW) requires that herds must first be certified Animal Welfare Approved: the only label to guarantee animals are 100% grass fed for life and managed according to high welfare standards, outdoors on pasture or range, with annual farm audits as farms. Also forbids the use of growth hormones or routine antibiotics. 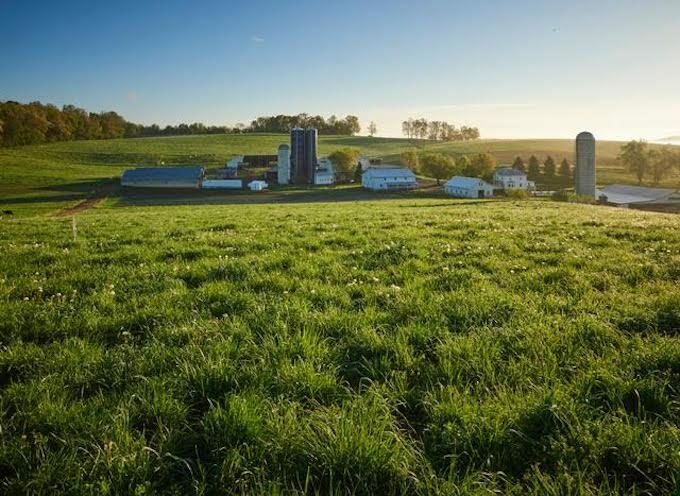 The Pennsylvania Certified Organic (PCO) 100% GrassFed and Northeast Organic Farming Association of New York (NOFA-NY) 100% Grass-Fed labels: both ensure organic standards AND 100% grass-fed practices for the duration of the animals’ lives. This feeding protocol is not verified and any prohibited feedstuffs and medications are also not defined. In addition, this claim provides no assurance of any other welfare or environmental management practices. No independent third party verification. Definition: If an animal is grass-fed AND grass-finished then their feed was composed entirely of grass, legumes, and green vegetation up until the animal was slaughtered. However, if an animal was ONLY grass-finished, this means that they may actually have been given grains and other non-forage feeds for a large part of their lives. This is pretty rare, however. More commonly, an animal is grass-fed but NOT grass-finished, meaning the animal was likely fed grass up until the last few months of life when it was then “finished” with grains (primarily soy and corn) to fatten it up. Plus, if it is not 100% certified organic meat then the feed is most likely GMO. Limitations: This feeding protocol is hard to verify and doesn’t define any other high welfare or environmental management practices. 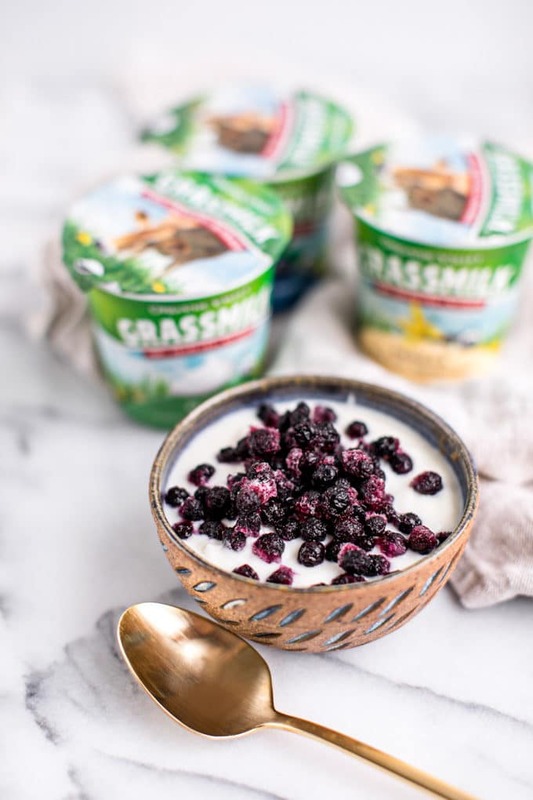 Certifications: None exist, though some of the grass-fed labels mentioned above require the animal be grass-fed for their entire lives, meaning these labels also ensure a grass-finished product. Extra tip: When shopping for meat, you ideally want to get 100% organic, grass-fed AND grass-finished meat. It’s always best to ask the farmer or butcher if the meat is in fact grass-finished. This is one of the many reasons why I love ButcherBox, as their meats are grass-fed, grass-finished, free of antibiotics, hormones, humanely raised and often organic. For a detailed review of ButcherBox, read this honest post. You can also sign up here to get $15 off your order PLUS a free pack of uncured, sugar-free, heritage breed bacon! Pasture-raised is becoming more in demand by consumers because it means that the animals had a higher quality of life, and the resulting products (beef, eggs, dairy, etc.) also has improved health benefits. Sadly, nearly all laying hens in the U.S. are raised indoors, with no access to the outdoors. In fact, the vast majority (90%) of laying hens are confined in small cages for their entire lives. The spirit of organic standards is that chickens need to be able to go outside to scratch in the dirt and do normal chicken stuff. Some large organic operations skirt the issue by providing screened-in porches, but most legitimate organic egg farmers do provide real access to the outdoors. As I mentioned, Organic Valley farmers require anyone in their cooperative to provide 5 square feet of real outdoors for each of their hens, and they must have shade and water too. Is it regulated? Somewhat, but it’s not reliable. Definition: While pasture-raised does not have a legal definition, it implies animals were raised outdoors on pastures. Many farmers use it to distinguish themselves from “free-range” farms (see below). In this scenario, animals are free to roam around outdoors with unlimited access to food, fresh water, and indoor shelter in case of inclement weather. This differs from “free range” in that pasture-raised animals spend more time outdoors than they do indoors. 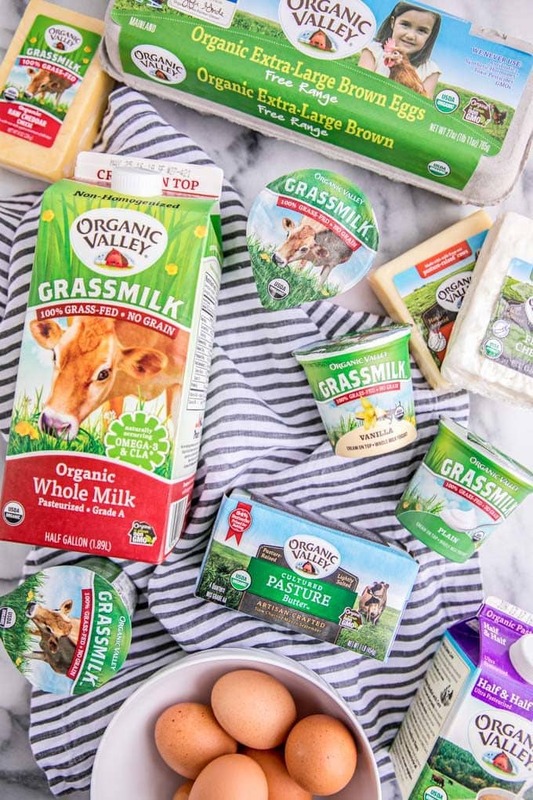 For dairy and eggs: The FDA oversees labeling, but there is no common standard for producers to make a “pasture-raised” labeling claim and there’s no verification. For meat and poultry: The USDA requires labels on meat and poultry with a “pasture-raised” claim to be approved by USDA staff via submitted paperwork, but there are no annual audits, inspections, etc. Limitations: Not only is this label ripe for greenwashing (meaning the term can be deceptively slapped on products by manufacturers to make it sound like they use the best practices, when they really don’t), but it also doesn’t guarantee any other qualities like organic, antibiotic- and hormone-free, etc. The American Grassfed Association label: (on beef and dairy) means that the animals were raised on pasture or range and never fed grain. The American Grassfed seal on beef means the cattle were never confined in a feedlot. Animal Welfare Approved seal: (on meat, poultry, dairy, and eggs) means that the animals were raised on pasture. Chickens can be kept indoors without access to pasture for up to 28 days, but only in emergency situations or extreme weather conditions that could affect the birds’ welfare. The PCO 100% GrassFed and (NOFA-NY) 100% Grass-Fed label: means that the dairy cows were raised according to the federal organic standards, which require access to pasture during the grazing season, but goes further than this by requiring 100% of the cow’s feed to be derived from pasture or forage, with no grain in the diet. Certified Humane Raised and Handled seal OR the American Humane Certified: if a carton of eggs has both a “pasture-raised” claim and one of these labels, it means the “pasture-raised” claim was verified, and meets a ton of high standards like: the hens must get roughly 10 x 10 feet of pasture per bird, the pasture has to be rotated and consist mainly of living vegetation, the hens must be outdoors year-round with access to housing at night for protection from predators, and more. 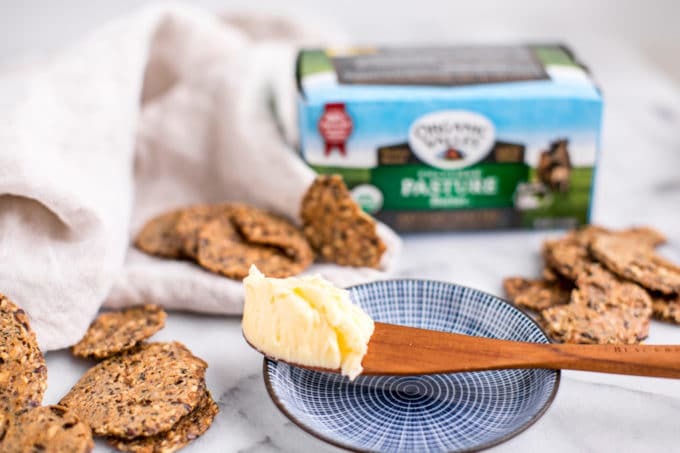 Extra Tip: Organic Valley has a great cultured pasture butter, and every single one of their cheeses are pastured–sometimes the label will say “made with milk from our pasture-raised cows,” but even if it doesn’t, rest assured OV’s cheeses were. Their ghee is also pastured–go here to print a $2 off coupon for your next organic ghee purchase! Definition: While cage-free implies animals are raised outdoors on pasture, this claim is highly misleading and makes consumers feel like they’re making a humane choice, when it reality, they’re probably not. The cage-free claim is widely used on poultry meat packaging, however, meat birds are never raised in cages–no matter how intensive the system might be. Poultry raised for meat under this label are typically raised in enclosed barns or warehouses where tens of thousands of birds are kept in close confinement. Limitations: In addition, this term does not explain if the birds have any access to the outside, whether any outside area was pasture or a bare lot, or if they were raised entirely indoors in overcrowded conditions. It also doesn’t address practices like beak cutting. The Certified Organic, Certified Humane and Animal Welfare Approved labels ensure that egg-laying hens are truly “cage-free”. The Global Animal Partnership is a five-step rating system ranging from Step 1 (no crates, no cages and no crowding) to Step 5+ (animals spend their entire life on pasture on the same farm). Is it regulated? Largely, no. Definition: For poultry ONLY, the USDA Food Safety and Inspection Service Producers define free-range like this: “must demonstrate to the Agency that the poultry has been allowed access to the outside.” This does not guarantee that a hen ever actually stepped foot outside, it just means there was a way for them to do so, like doors in the corners of the barn. No legal or regulated definition exists for any species beside poultry. Limitations: While this sounds nice, in reality it does not mean too much since it doesn’t address any of the following: the type of outdoor access provided (such as pasture or dirt lot), the size of the outdoor area, the length of time the birds are required to have outdoor access, etc. Plus, how “free-range” gets verified is not legally defined and therefore varies greatly from facility to facility. Crowding is not uncommon, and the claim provides no assurance of any other high-welfare or environmental management practices. Certifications: None exist, and given the vague definition, you’re better off looking for the pasture-raised label instead. Definition: The term “natural” in the food industry broadly means minimally processed and free of synthetic dyes, coloring, flavorings, and preservatives. But does that mean healthy? Not necessarily. These foods may still contain such ingredients as high fructose corn syrup and GMOs. The term is unregulated by the USDA for most foods except meat, poultry, and egg products. Foods containing meat, poultry, or eggs must be minimally processed and free of artificial ingredients in order to be labeled as “natural”. What’s more? Phophylactic use of antibiotics in livestock is what’s caused the dangerous emergence of resistant “super bugs”, which can be fatal for humans. But if you think about it, when you’re buying raw chicken or a carton of eggs, what kind of processing would you even expect to be done? I’d hope none other than packaging it for consumer sale. Limitations: Animal products labeled “natural” may still be given antibiotics, growth hormone, and fed GMO feed. For example, chicken that is simply just labeled “all natural” were likely raised indoors with many thousands of other birds, rarely if ever seeing natural light or foraging in pastures, and almost certainly received routine antibiotics to prevent diseases in the stressful, cramped conditions. Consumer surveys show most people think the term “natural” refers to how animals are raised, (source) but it clearly does NOT and is one of the most misleading label claims. So basically, if you see a “natural” or “all natural” label on a package you should just ignore it, because it really doesn’t mean anything. Pro tip: The USDA prohibits the use of artificial hormones or steroids in all chicken production, so if you see chicken labeled with “no hormones or steroids added”, while it’s a true claim, it doesn’t mean anything because ALL chicken is hormone-free–so you’re better off looking for the other labels we’ve talked about above like organic and pasture-raised if you want the best quality chicken. Is it regulated? “Humane” on its own is not, but there are standards defined by third-party certification programs. Definition: There is no legal definition or minimum agreed welfare standard for the term “humane”. The various certified third-party organizations listed below have different requirements to meet their definition of “humane”, so you need to check each website independently to find out more. Limitations: The “humane” claim is increasingly found on products where animals are raised on dirt feedlots or indoors in confinement systems, where antibiotics are used and where mutilations, such as beak trimming or tail docking, are routine practices. Because each of the labels below have different standards, it quickly gets confusing and hard to know exactly what’s allowed and not allowed. I recommend you do your own research if there are specific standards you’re looking for, but overall, these certifications are definitely an improvement from typical factory farming and move in the right direction to support animal welfare. Certified Animal Welfare Approved: an independent, nonprofit farm certification program, and now one of the nation’s top 5 fastest growing certifications and label claims. It’s the only label that guarantees animals are raised outdoors on pasture or range for their entire lives on an independent farm using truly sustainable, high-welfare farming practices. It is the only label in the U.S. to require audited, high-welfare production, transport and slaughter practices. Certified Humane Raised and Handled: means the product meets the requirements of the Humane Farm Animal Care (HFAC) Program and is supported by more than 68 animal welfare organizations across the country. 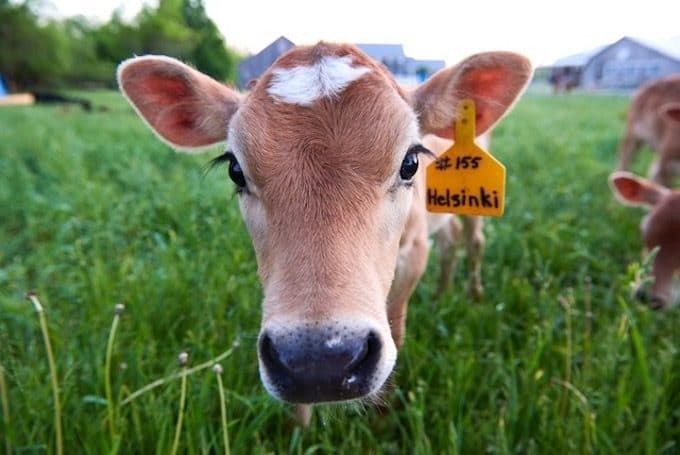 American Humane Certified: verifies that products have met rigorous, science-based welfare standards, including antibiotic-free, and were humanely raised throughout their life process and slaughter. 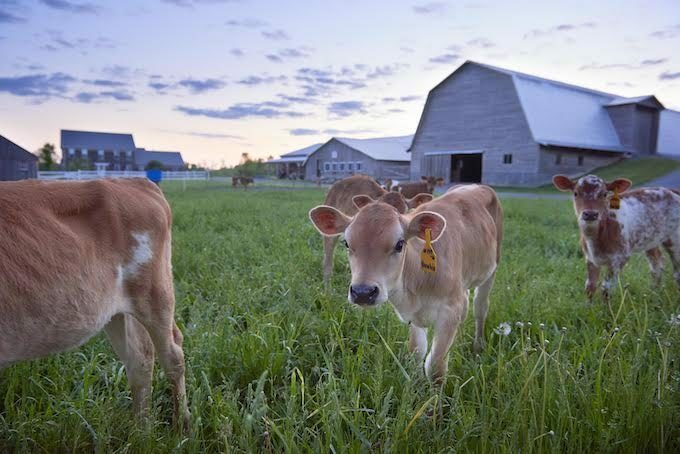 The Global Animal Partnership is a five-step rating system; look for Step 5 and Step 5+, where animals spend their entire life on pasture on the same farm, for the highest animal welfare indicator. There are honestly so many labels out there and terms slapped on products that we can’t possibly get to all of them. Below are a few more you’ll see often on packaging. For an extensive list, check out A Greener World’s Food Labels Exposed resource. Fresh: Legally, this label term simply means the internal temperature of the meat must never go below 26° F… thus, it means nothing. Vegetarian fed/vegetarian diet: This label claim indicates the chickens are fed a diet free of animal products. However, as there is no legal definition for this claim and there are no independent checks on farms relating to this claim, so we can’t know if it is true. It does not mean the hens were raised outdoors on pasture, this simply means they are likely fed a diet of GMO corn and soy. Furthermore, chickens are omnivorous creatures and eat animal products, like insects, bugs, ticks and even small rodents, which is a good thing. No animal by-products: This term implies no products derived from animals were used in the chicken’s feed. But without any legal definition of what constitutes an animal by-product, a variety of animal-derived ingredients–such as milk or fishmeal–could be fed under this label. As there is no independent on-farm verification, no one will have audited the farm to check if this claim is even true. Next time you’re at the store or farmer’s market, look for USDA Organic products first (it’s the most comprehensive starting point), followed by 100% grass-fed and grass-finished meats and dairy and 100% pasture-raised eggs and chickens. And don’t be afraid to ask questions and be your own detective. It’s your money, your health and your decisions that influence the encouragement of animal welfare. Vote with your dollars! What do you look for when buy animal products? Do you have any other tips or knowledge to share with us? leave a comment below! Thank you for taking the time to write this. It is hard sometimes to understand a label, especially it is misleading or something. We get that problem with the gluten free label all the time. Ah, yes, I can imagine! Thank you for reading and commenting. It is good to know the difference between the terminology. I certainly want to buy responsibly and these guidelines will help me do that. Thrilled to hear that Vicky–thank you! What a comprehensive guide. There really are so many terms and sadly not all are what they appear at face value, which is tough for the consumer. Yes… many of the labels do indeed help, but they certainly add a lot of confusion as well. 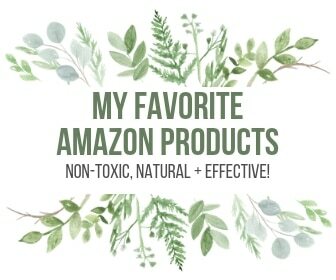 I hope this post helps consumers get informed! This post is amazing. I am bookmarking this one as a reference. Thank you so much for sharing this valuable information. Many thanks, Deepika. Really glad you appreciate it! What a great read! I knew most of the info but not all of it. It annoys me to no end that they can claim it to be something and it not being that something. I do get Organic Valley quite a bit! Thanks for that thought-provoking read! Knowing and understanding exactly what you’re buying and what is best for the animals and the environment that they need to thrive in is so important! 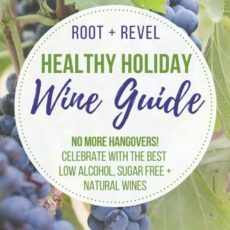 Thanks for this guide! 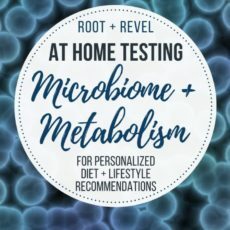 This is such a phenomenal and thorough post! I learned so much and am so grateful that you took the time to break down something that is very complicated. This post will help many of us out there trying to make sense of these labels, thank you! Thanks Sarah, really glad you found it helpful!